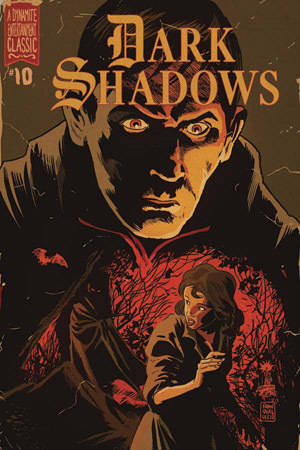 Dark Shadows #10 has been solicited from Dynamite, with an incredibly optimistic publication date of "July 2012" listed at the company's website. You need an I Ching to make sense of comicbook publication dates, so interpret that July date as meaning "It will come out when it comes out." What is it with these release dates for the Dark Shadows comics?? I haven't even seen #5 yet, but #10 is supposed to be in July? I usually buy my copies on Ebay, and have them in Search, but no results show up and I keep thinking I've missed the next issue. It's getting a bit frustrating, I'm afraid.